Halep Steamer has been completed by Robert Napier & Sons, Glasgow for the Aberdeen Line company as their first steamer in december 1881 named as Aberdeen. She was 3616 gross tons, 362.4 ft length and 44,3 ft wide. She had one funnel and three masts. She could do 12 knots. She had a capacity of 45 first class and 650 third class passengers. 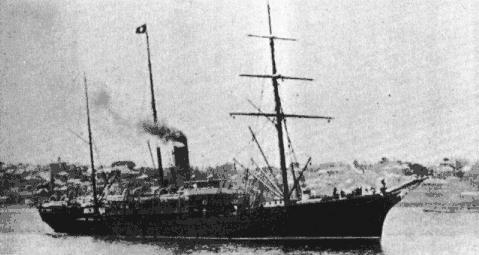 She had been sold to Turkey in 1906 and renamed as HALEP. After the war started, she had been used in transporting troops. While she was waiting at the Akbas jetty in 24th of April 1915 (25th of April in some sources) for the soldiers wounded in the war around Ariburnu and Anafartalar in order to take them to Selimiye hospital; she had been sunked by the British submarine E-11. 200 Turkish soldiers became martrys and buried here all together. After the war this place became the Akbas martyrdom. 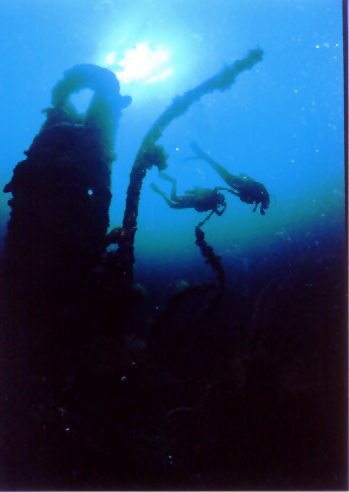 The wreck now lies in 17-22 meters depth in Akbas bay in Canakkale.